Product prices and availability are accurate as of 2019-04-20 22:49:20 EDT and are subject to change. Any price and availability information displayed on http://www.amazon.com/ at the time of purchase will apply to the purchase of this product. Stellar Phoenix Data Recovery for iPhone is a perfect tool for all those, who are heavily dependent on their iPhone devices. The software recovers all lost and deleted data from your iPhone 6S / 6 Plus / 6 / 5S / 5c / 5 / 4S / 4. 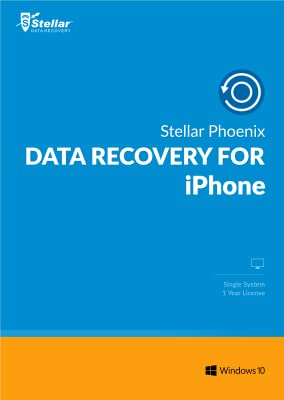 Stellar Phoenix Data Recovery for iPhone is targeted to regain all your lost or deleted data from iPhone device and iTunes/iCloud backup files. 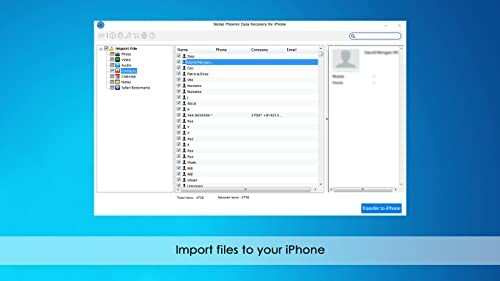 With new and enhanced user interface, the software offers helpful modules to recover data from your iPhone device as well as from the ‘iTunes’ & 'iCloud' backup files. It gives two options, right at the main software interface – ‘Scan Device’ and ‘Scan Backup’. 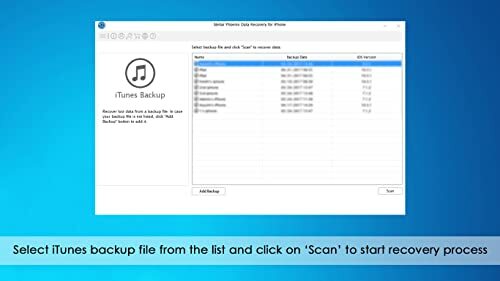 The Scan Device is useful to recover the lost data from iPhone, but to recover from ‘iTunes’ or 'iCloud' backup, choose the ‘Scan Backup’ option. Stellar Phoenix Data Recovery for iPhone scans the entire memory of your iPhone to recover the lost data, photos, contact details, messages with all the attachments, notes, reminders, and calendar entries. This iPhone utility also offers optimized message and contact display for iPhone systems. You can restore all the voice memos and call histories, including incoming, outgoing, and missed calls. It also recovers the bookmarks you have created with Safari browser. 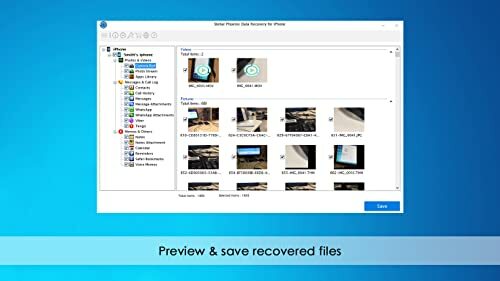 This amazing software supports recovery of WhatsApp messages and Attachments, App documents, Photos & videos from iPhone, iTunes backup and iCloud backup files. It also facilitates recovery of deleted image thumbnails as well as thumbnail preview of scanned videos. 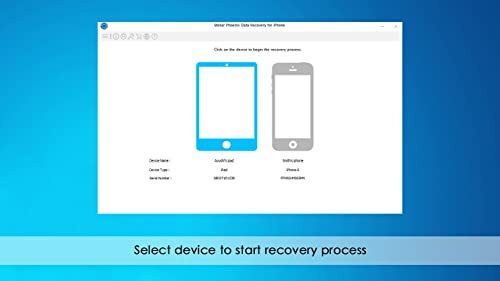 The recovery of deleted data from iTunes/iCloud backup files is one of the most remarkable features of Stellar Phoenix Data Recovery for iPhone. However, you need to have the latest version of ‘iTunes’ installed on your computer. Another usefulness of the software is that it runs on a Windows PC. 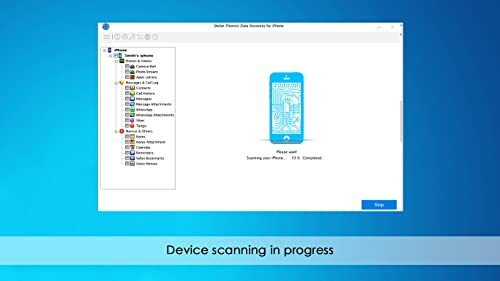 With humongous options to recover lost and deleted data from your iPhone, the software shows the cross-platform compatibility by enabling you to recover lost data on a Windows 8.1, 8, 7, Vista, or Xp – OS based PC.